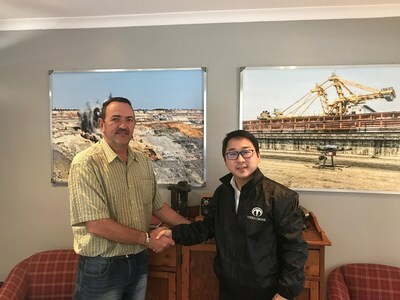 TOKYO, Nov. 1, 2018 /PRNewswire/ — Terra Drone Corporation (SHIBUYA-KU TOKYO CEO Toru Tokushige following as Terra Drone) established a new branch in South Africa specializing in drone solutions for underground and surface mining. Terra Drone is a leading global commercial drone technology company focused on providing cutting-edge, smart-mining solutions, which improve safety, reduce down-time, reduce costs, and increase the quality of data so better business decisions can be made. Finally, Terra Drone aims at further development of drone technology throughout the South African industry. In order to solve these problems, Terra Drone’s South Africa branch will provide a total smart-mining solution using our industry leading drone and software technology providing one of the world’s first underground drone solutions. With regard to the utilization of underground drones, it is generally very difficult to adapt to the dark and narrow environments due to the confined space and lack of GPS signals that drones typically use to navigate. In addition, the mines are often times very difficult to access and may be dangerous for humans to enter at all. Until recently, available drone technology was limited because of these factors, however, Terra Drone has already started offering unique underground drone solutions with the use of innovative and ground-breaking technologies developed by one of our group companies, Inkonova AB.